Our concept for dealing with the relic of a bunker from the 2nd World War proposes rather inexpensive and feasible steps to improve the unsatisfactory situation in the center of Duesseldorf Gerresheim: First, the ground floor area of the bunker is cut open with a large sized concrete drill. Then, the resulting openings are closed off by a simple continuous glass façade that is attached to the ground floor zone, creating an attractive storefront. 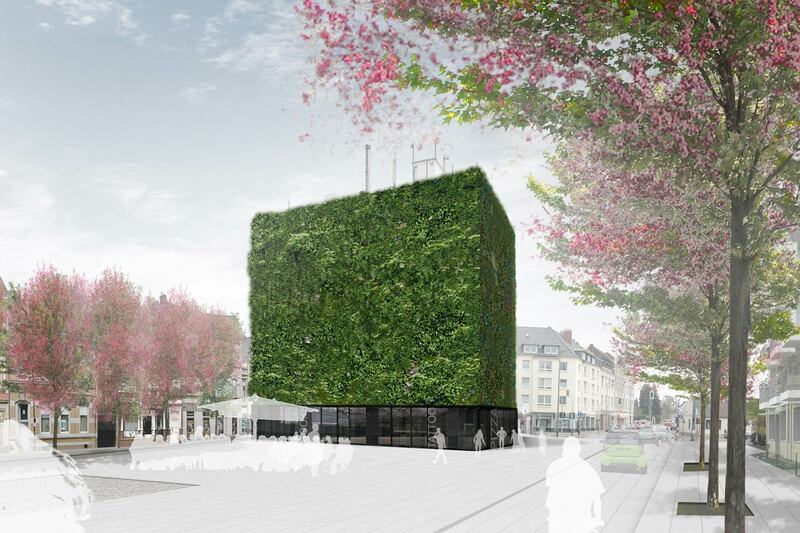 As a third step, a net is put over the existing skin of the bunker as a plant support structure which will make an extensive greening of the volume feasible, thus transforming the former eyesore into a green lung in the city. 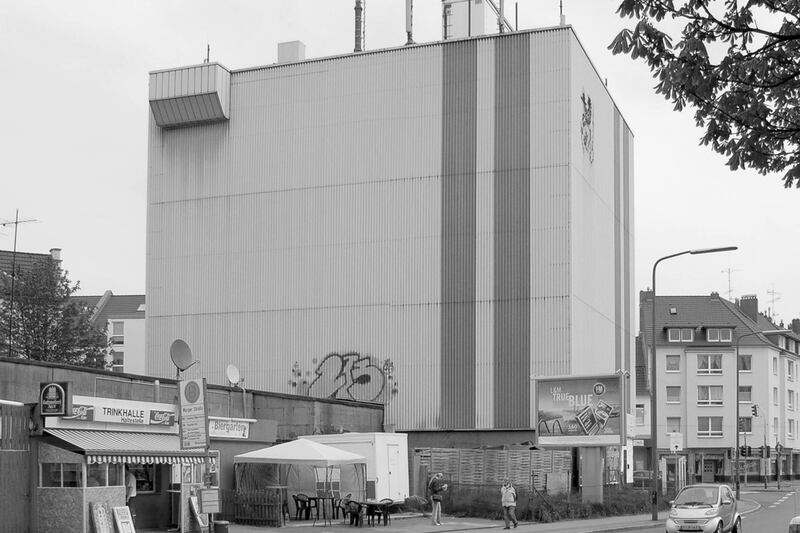 The previous uses of tattoo studio and kiosk will remain on the ground floor towards Heyestrasse, towards the west, the additional openings would allow for a catering business with outside seating. Potential uses for the upper floors of the bunker that can be achieved without major interventions are rentable storage areas or music rehearsal rooms. With further restoration usages such as art gallery or a local industry museum relating to the nearby glass factory are also possible.